Challenge Complete: What's in a Name? 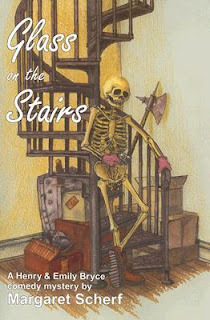 Glass on the Stairs (1954) is the third book by Margaret Scherf to feature the husband and wife decorating team, Emily and Henry Bryce. This outing starts off with a bang--quite literally--when their downstairs neighbor Link Simpson (owner of a gun and antique shop) comes upstairs to ask Henry to help him deal with a hysterical woman who demands that he sell her a gun without a license. While Link is trying to convince Henry that it's his neighborly duty to help him out, they hear a shot and stumble down the stairs to find the woman dead and the gun near her hand. Given Link's report of the woman's attitude prior to the shot and the evidence of more bullets in her purse, Burgeen (the police detective in charge of the case) decides that she must have come expressly to get her hands on a gun with which to commit suicide. Though, as Link says, why she did she have to kill herself in his shop? But the Bryces are always hoping for excitement and keep finding little clues that make them believe that Mrs. Otis Carver was murdered. There's the pink glove, the poisoned toothpaste, glass bits on the staircase, the sound that wasn't there, the mysterious awning fire, the scent of garlic, and the over-abundance of Lobelia (a nice little poisonous plant). This is a fun little mystery. Lots of scattered sleuthing by Emily and false solutions galore before the end is in sight. Emily and Henry spend a lot of time rushing madly hither and yon in the attempt to track down clues. Henry spends a couple of afternoons wrangling with customs officials over an entirely extraneous couch which he has inherited--but the visits to various official offices gives him the opportunity to see one of their suspects behaving mysteriously, indeed. Emily blunders about telling everyone in sight about the (in her mind) oh-so-important clue of the pink glove. When Henry is attacked after finding it, it appears that Emily may be right. And then, of course, there's Henry's shoe-sniffing expedition. The Bryces make a welcome addition to the whimsical husband and wife detective teams--taking their place with the likes of Nick & Nora Charles and Pam & Jerry North. The only down-side is, that despite the efforts of Emily and Henry to muddy the waters and spread suspicion everywhere, it shouldn't be all that difficult for astute readers to spot the killer fairly quickly. But the characters are interesting and the interactions of Emily and Henry with each other and the rest of the cast is so much fun that you won't really mind. ★★★ and a half. Death in Kashmir (originally published as Death Walked in Kashmir, 1953) takes place in a region now under Indian control (with other portions of the Kashmir area controlled by Pakistan and China). The time is 1947 and Britain is preparing to leave India and lose part of her empire. Sarah Parrish is one of many British subjects taking advantage of one last chance to visit the skiing playground in the mountains near the Vale of Kashmir. 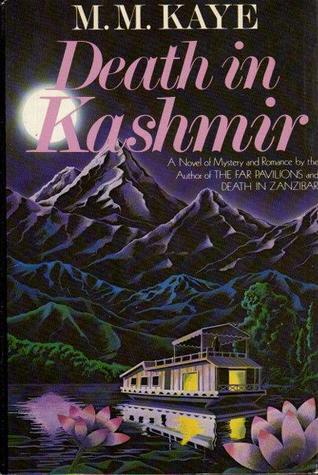 Little does she know that among her fellow vacationers are spies and counter-spies all seeking information vital to fate of Kashmir and India post-empire. When a middle-age woman dies in a skiing accident and Sarah then notices someone trying to break in the window of the woman's niece that night, she is plunged into the thick of things. She warns Janet Rushton (the niece) of the attempted break-in and as a result Janet shares some rather startling secrets with her. As a result of the shared secrets...and another murder or so, Sarah becomes the focus of some unwanted attention. Everyone seems to think she possesses more knowledge than she has and someone is willing to kill for what they think she has. There's also a dashing young gentleman in the offing...but can she really trust Charles Mallory? And if not him, then who? Despite the rather heavy shadow of espionage, this is a very light mystery. Yes, there is a feeling of danger surrounding our heroine, but we read about it with a nod and wink, knowing that she's going to come through the danger even though all of her fellow vacationers may not be so lucky. And, knowing M. M. Kaye, we also know that any hints of romance will be completely fulfilled by the story's end. It may be a bit of a formula, but it's a comforting formula and Kaye does it very well. Kaye is also superb at describing the time and place. In part, this is because she writes from her own experience--using actual places she has visited and incorporating incidents from her own life where they will be most useful. The mystery itself is a good one. It kept me guessing on who the culprit was and made for an interesting read. ★★★ and a half. This fulfills the "Anywhere But the U.S./England" square on the Golden Vintage Bingo card and gives me two more Bingos. 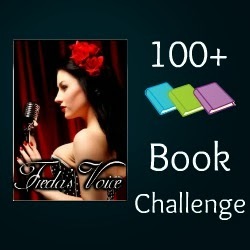 I just realized that I forgot to officially log my completion of my commitment for Freda's 100+ Book Challenge for 2015. I finished book #101 on August 12 putting me over the 100 mark. I've still got more books on the docket for 2015 and will keep reading. Thanks to Freda for sponsoring this each year and for drawing prizes for lucky participants! Challenge Complete--but still reading! For my full final list, click HERE. In Keep Cool, Mr. Jones (1950), Ed "Jupiter" Jones has grown up, left Harvard, stopped professoring--although he's still an academic at heart, and moved to the country for the quiet life with his lovely wife Betty and a nice place to raise their children. He's put amateur detecting behind him. Or so he thinks. That works just fine until the night of the annual square dance (in aid of raising funds for the local library) at Jack Maney's place. Somebody decides to lock Maney and three of his guests in the walk-in freezer when he takes them on a tour to show them his pheasants. There are many people in the community who may have wanted to get their own back on Jack Maney--whether through a practical joke or an attempted murder. But who could have wanted it so badly that they would include three innocent people? What may have been at best an ill-considered practical joke soon leads to definite murder and revived rumors of a long-lost treasure add a certain spice to the speculations. Maney's wife "Slim" asks Jones to investigate and, of course, Jupiter can't resist poking his nose into another case...Slim is pretty difficult to resist as well. She promises him a reward that even the dedicated family man can't resist. But before he can earn the reward, he'll find that nearly every male in a 25 mile radius was interested in Slim to varying degrees--he just has to figure out if that's germane to the case; he'll have to decide whether Slim deliberately shot her husband in the leg; he'll have to find $90,000 in gold as well as a disappearing Indian; and he'll have to out-track a bloodhound and out-talk the killer in a dangerous grand finale. This story is the fifth and final entry in Timothy Fuller's series starring Jupiter Jones. Jones starts his sleuthing career as a graduate student in Harvard Has a Homicide when his advisor, Professor Singer is murdered. The detective bug sticks with him through grad school through his term as a professor himself and then, when a convenient relative dies and leaves him enough money to exit the academic world, in semi-retirement. He's supposed to be working on a book in the relaxing little town of Saxon, but he quickly sets that aside when a murder rears its ugly head. Jones is full of breezy, witty conversation and the story provides a nice feeling of the post-war period. The wit and social commentary are smoothly integrated into the tale, making for an enjoyable read. As is well-known here on the Block, I do love those academically-inclined amateur detectives and Jones is perfect. He has an educated wit without being pedantic and his academic mind helps him ferret out the details necessary to solve the mystery. The characters are fleshed out as nicely as one could hope for in a short (160 page) crime novel and they add plenty of local color. A good, solid post-war read. ★★★ and a half. 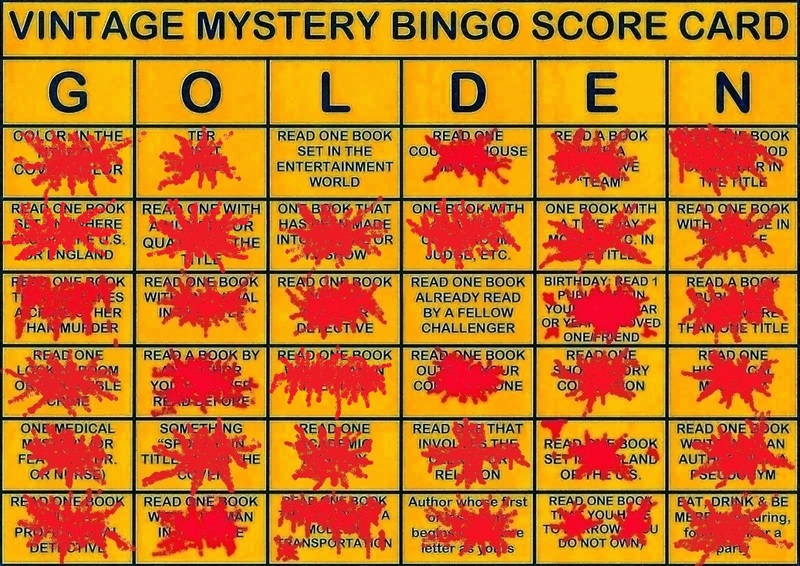 This fulfills the "Man in the Title" square on the Golden Vintage Bingo card and gives me one more Bingo. I'm sorry Larry Niven, but what love I had for you (back in the 80s when I discovered science fiction) is rapidly disappearing. I read The Mote in God's Eye recently and wasn't nearly as thrilled with it as expected. I'm very tempted to go back and reread Lucifer's Hammer to see if it really is as good as I remember. I enjoyed that one when I read it. My memory tells me that it actually had a plot with a real story arc. 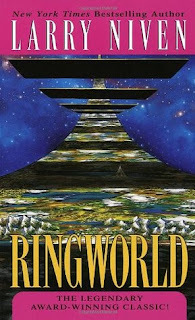 Ringworld doesn't really. Oh, yes...there's a plot of sorts. Let's have Louis Wu,our hero, team up with a Pierson Puppeteer (a two-headed, three-legged, horse-like [?] creature with it's real brain in a camel-like hump on its back), a Kzin (a huge, war-like, cat-like alien), and a human woman, Teela Brown, whose main purpose seems to be to love [and make love to] Louis...until she doesn't any more, to serve as a "good-luck charm" for the expedition, and to, occasionally, offer some fairly good insight into rather complex ideas [Hey, look, the woman has a brain! Why isn't she allowed to use it all the time? ], and send them off to investigate an unexplored area of the universe in the hopes of finding a safe place for all the species when the radiation effects from explosions at the center of the galaxy reaches inhabited space. They discover this massive artificial structure shaped like (surprise!) a ring and orbiting a sun and make a pretty half-baked effort to investigate it. There you go. Sure, they meet people (really--very human-like people), but don't really interact with them much. They kindof, sortof explore--but not really. Here is the plot in a nutshell: Long, lead-in where the Puppeteer convinces Louis and company to join the team. Smaller portion where the team is with the other Puppeteers getting ready to launch the trip. Long portion for travel to Ringworld. Another long portion traveling around on Ringworld. The End. There is no real goal--investigate and report back; conquer Ringworld; whatever. The story just really stops. I understand that this is part of a series and this was basically the book setting everything up--but 342 pages of setup? Add to that the fact that we really don't learn a whole lot about the characters and they don't seem to learn a whole heaping lot about themselves during this great grand adventure. Probably because there aren't many large problems for them to work through. Alias Grace is Margaret Atwood's fictional retelling of the true story of Grace Marks. Grace was a Canadian maid who was convicted in 1843 for her involvement in the murder of Thomas Kinnear, her employer, and she was also suspected of the murder of Kinnear's housekeeper and mistress, Nancy Montgomery. James McDermott, the outside man who tended the animals and did the rough work around the house, was also charged. He was found guilty and hanged. But the decision on Grace was not so clear-cut. There was disagreement about whether she was a full participant in the murders or if she was an unwilling or unwitting accessory. Her sentence was commuted to life imprisonment. Because of her pretty face many thought her a wayward siren with designs on her employer and believed that jealousy of Nancy's relationship with Kinnear was the driving force behind the murders. There were a few people who believed in Grace's innocence and petitioned regularly on her behalf for a pardon. After being imprisoned for nearly thirty years, Grace finally received her pardon and left Canada for northern New York where she faded into the surroundings of her new land. This book follows the efforts of her supporters in one of their many attempts for a pardon--revolving primarily around the fictional psychiatrist Dr. Simon Jordan and his sessions with Grace Marks. Her supporters have asked Dr. Jordan to help them find evidence that will support Grace's innocence. His methods are simple--win the patient's trust, bring objects for her to identify and make associations with, and coax her into to telling her story. Grace has long claimed that she cannot remember what happened that fateful day at the Kinnear house--that any statements or confessions she made were prompted by her lawyer in an effort to get a lighter sentence. Jordan's goal is to find the key to unlock those hidden memories. Dr. Du Pont, another doctor who favors hypnotism as a treatment, is also interested in Grace. And it is through a hypnotic session that the most startling memories are revealed. But will the efforts of the doctors really be useful in procuring Grace's pardon--or will they do more harm than good? Atwood, it seems to me, has two purposes in Alias Grace. The first, and of course most obvious, to tell us Grace's story in an entertaining manner and to fill in with speculation where the bald facts of history are lacking. She tells us in the afterword that there were many portions of the story where the facts were simply not known. She weaves a very convincing tale from the threads she has. Or, to use a theme from the book, she patches together a very pretty quilt-story indeed. 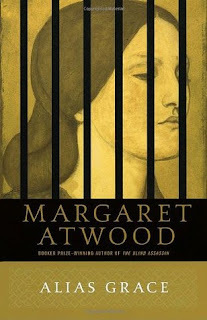 Secondly, Atwood examines the nature of memory and truth. Truth as it is connected with memory and truth as it is connected with intention. As Jordan works on unlocking Grace's memory, he often wonders how truthful she is with the story she's telling. And our omniscient look into Grace's thoughts tells us she's holding back and sometimes deliberately telling Jordan what she thinks he wants to hear. So at the conclusion, we're left wondering if the answer Atwood has given us is any nearer the truth than the incomplete story which history has left behind. We also have to wonder at the truth of Jordan's intentions as well as those who are seeking Grace's pardon. Do they really care about Grace or merely seeing their own work recognized? Jordan wants to set up his own clinic someday and needs some new and astonishing results to get the funding he'll need. The minister who is leading the committee working on Grace's behalf may only want earthly recognition for his good works. Warning--spoilers ahead for anyone completely unfamiliar with the story of Cleopatra. It hardly seems like the done thing to do a "mini" review of Shakespeare. Especially having an English major pedigree. But honest-to-goodness, I just don't have a lot to say. Dear old Will took events that should have covered years (travel from Rome to Egypt and back again) and crunches the action down so it seems that only days have passed. 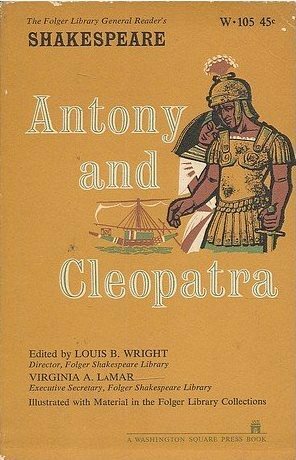 We've got celebrity star-crossed lovers in Cleo and Tony and even though they're older than Romeo & Juliet they get to suffer the same fate. Lots of passion. Lots of politics. Lots of Cleo being haughty and vain and jealous of Tony's first and (especially) second wife. She won't calm down until her messenger assures her that Octavia (wife #2) is short, homely and suffers from continual bad hair days. Antony winds up in battle because politics. Antony alternately adores Cleo, then suspects she has betrayed him and then, when he thinks she's dead, tries to kill himself because he loved her. But wait! She isn't dead and he manages to get himself to her in time to die in her arms. Cleo is captured and kills herself with an asp (I don't count that as a spoiler...pretty much everybody knows that). Lots of other people kill themselves and some die of broken hearts for one reason or another. Octavius (one of the players in that politics thing going on) gets to be the Roman Emperor. The end. I've pretty much decided that at my time of life I'd rather go see a play than read it. I've read several plays over the last few years for various challenges and I just don't enjoy reading drama the way I used to. I'm pretty sure I would like this one a whole lot better staged. We'll give it ★★★ because it's Shakespeare and important and I'm quite sure it has a lot more to say than what I was hearing on this reading. The Cases of Susan Dare (1934) by Mignon G. Eberhart is a short story collection starring one of the earliest female amateur detectives who also happens to be a mystery writer. Susan Dare, young and pretty, small but fearless, appears on the scene long before Jessica Fletcher ever stumbled across a corpse in Cabot Cove. With the aid of her trusty friend, Jim Bryne (top-notch reporter and bringer of the cavalry on many occasion), Susan doesn't just devise fiendish plots--she solves them as well. Susan relies a lot on her feelings--the feeling that something isn't right, that something doesn't add up, that she saw/heard/sensed something at some point in the ordeal and if she could just remember it then she would know who the culprit is OR, if she already knows but has no proof, then she would have the proof she needs OR she would know why it all happened. But then she also operates a bit like Sherlock Holmes--noticing clues that aren't revealed to the reader until she explains all in the wrap-up scene. And yet...there is something appealing about these stories. They aren't the best examples of fair play mysteries, but they are interesting and attention-grabbing all the same. A fair collection and the characters of Susan and Jim are well-drawn. One does want to know at the end of the book...do Susan and Jim wind up with a happily ever after together? One thinks they should. 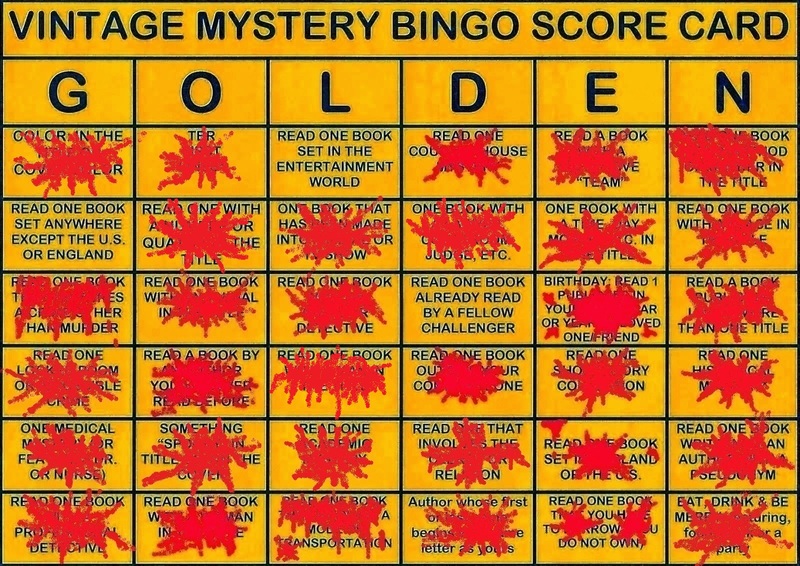 ★★★ for a decent mystery collection. "Introducing Susan Dare": Susan's first case. She has been enjoying a holiday at her friend Christabel's in the Carolina hills when murder visits the Southern mansion with Christabel's former love as the victim. Susan gets involved when the evidence seems to point to her friend and she has to prove when red isn't red. "Spider": Jim Bryne asks Susan to help Caroline Wray discover what's behind the evil she feels overshadowing her family's home. When Caroline's adopted sister is shot, it looks like only Caroline could have done. Susan once again steps in to prove how someone who wasn't there did the deed. "Easter Devil": Susan comes to another evil-ridden mansion--this time undercover as a nurse. Felicia Denistry is convinced that an Easter Island idol is the source of all the accidents happening to the people and things she cares for. Susan knows that there is a human agent behind the superstition. "The Claret Stick": This one finds Susan and Jim in the theatre world. Where the leading man has just landed the role of murder victim. But where is the weapon? And how did the murderer get past the man in the front office? "The Man Who Was Missing": Susan takes up residence in a rooming house to discover how a ballerina's fiance could disappear from a locked house. "The Calico Dog": A woman who knows Christabel (from the first story) asks Susan to help her decide between two men who claim to be her long-lost son. Derek Lasher disappeared when he was four years old--apparently kidnapped by his nursemaid. Now that Idabelle Lasher's husband has died leaving behind 30 million dollars, Dixon and Duane have each arrived with plausible stories and memories that only Derek could have. Will the real Derek Lasher please stand up? Murder and theft take place before Susan can get to the bottom of it. 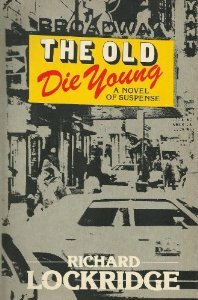 The Old Die Young (1980) is the last book published by Richard Lockridge. It features Lieutenant (recommended to be Acting Captain) Nathan Shapiro and his right-hand man Detective Tony Cook. And Nate Shapiro is once again out of his depth and convinced that someone, somewhere made a mistake when they made him a Lieutenant in the Detective Branch and "they" are certainly out of their minds to think he should make Captain in the wake of Bill Weigand's promotion to Inspector. This time he and Cook are investigating the possible murder of Broadway actor Clive Branson, the star of the current play "Summer Solstice." Branson has given his age as forty-something, but the truth is that he is more like sixty-something. A fact that even carefully applied makeup cannot hide once he is discovered dead in his bed. Branson has apparently succumbed to a reaction to a sleeping pill. His friends, dresser, fellow actors, agent, and ex-wives all knew that he was susceptible to severe reactions to small doses. And most of these people were at the surprise birthday party held the night before Branson's death--giving them ample opportunity to slip a little something into the birthday boy's drink. But what about motive? Branson had been miscast as the forty-year-old husband of a twenty-year-old in the play and the critics were decidedly not in favor of the elderly playing the middle-aged. Was someone associated with the play determined to remove the dead-weight keeping the play from soaring reviews? Or maybe Ken Price (an up-and-coming actor better suited to the role) hoped that with Branson out of the way he might step in and give his own career a boost? Branson's will also reveals motives (to the tune of $50,000 apiece) for each of his ex-wives--one of whom is also in the play--and his dresser-come-butler who inherits the rest. Shapiro and Cook will have to become familiar with the ins and outs of the theatre world as well as the properties of certain poisons before they can bring the crime home to the villain. 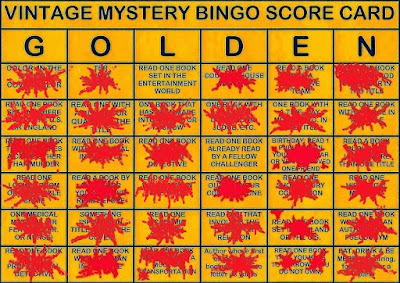 With the detective duo of Lt. Nathan Shapiro & Detective Tony Cook, this counts for the "Detective Team" square on the Silver Vintage Bingo card. This also counts as my first entry for Rich's Crimes of the Century feature for August. This month is focused on crime fiction from 1980. Back in 2013 I signed up for the Non-Fiction Adventure, a book challenge on the five-year plan. We were to choose our own goals to meet for the five-year period and/or per year. 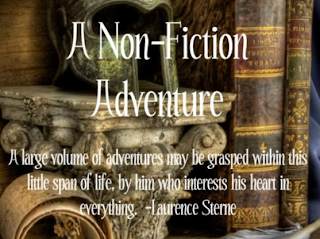 I just finished my 10th non-fiction book for 2015. Warning! If you have not yet read the Lord Peter Wimsey novels by Dorothy L. Sayers, then you will not want to read this book before doing so--unless you want the plots spoiled. 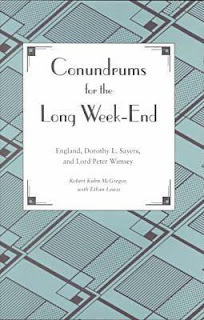 Robert Kuhn McGregor and Ethan Lewis have no compunction about giving away virtually every clue and unmasking every villain in the novels and (most) short stories of the well-known mystery writer while expounding the Conundrums for the Long Week-End: England, Dorothy L. Sayers, and Lord Peter Wimsey. They assume (rightly, I believe) that anyone plunging into their literary critique will be well-acquainted with the ins and outs of Sayers's works. MacGregor and Lewis fully examine the plots of the Wimsey novels, tying them firmly to both the events in Britain and the world during the "Long Week-End"--the period between the two World Wars--and to the life of Dorothy L. Sayers. They find themes and events in the fictional life of Lord Peter, and later Harriet, and use them to understand Sayers's views on love, marriage, the evolving place of women, and the social changes which are rapidly shaping Sayers's world. 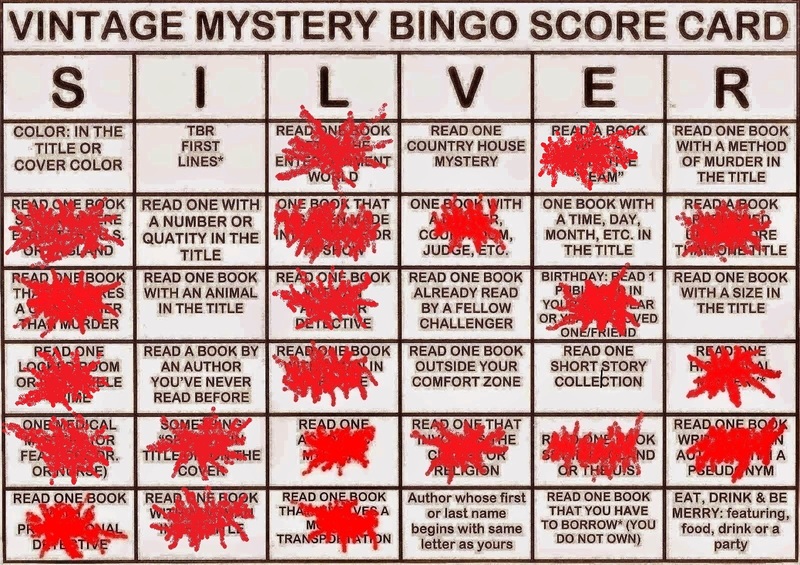 They also reveal how each of the Wimsey novels play upon different mystery conventions--from the thriller to the time-table focused crime to the how-dunnit. Sayers worked hard at her craft and used it consciously to explore her own views as well as to comment on (and sometimes criticize) the methods and conventions of other Golden Age mystery practitioners. I always make an effort to fulfill the challenge using only books on my own TBR stacks--this year I managed it. Thanks to Charlie for keeping the challenge going! John over at Pretty Sinister Books first brought Anne Austin* to my attention with his terrific review of One Drop of Blood. 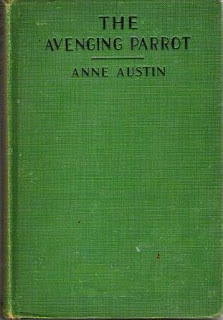 At the time I thought I might read Murder at Bridge (available through Project Gutenberg, but I'm such a book in hand kind of girl that I never got round to it. Instead, I picked up a lovely hardback edition of The Avenging Parrot (1930) at last year's Red Cross Book Sale. From researches online, it appears that Parrot is the second of Austin's mysteries. However, the novel reads as if it were the very first of the James "Bonnie" Dundee series. Bonnie got his name from "a sentimental lass he lost his heart to in high school [who] found a Rab Burns poem called 'Bonnie Dundee' and made him a present of the nickname." It stuck. 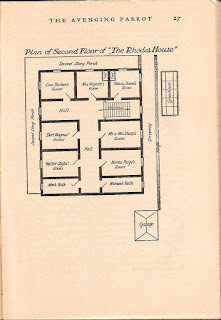 The book opens with Dundee arriving in the office of his uncle Police Commissioner O'Brien in Hamilton (Midwest, USA**) fresh from a six-month stint with Scotland Yard, as a records officer. [Perhaps the first novel, The Black Pigeon, takes place in London?] Dundee is determined to make a name for himself as a detective. But Lieutenant Strawn, O'Brien's best detective is none too sure about the new man, particularly when he finds out Bonnie's been to college and spent his time "reading everything on criminology [he] could lay his hands on." Dundee will have to work hard to impress Strawn and Sergeant Turner, a seasoned officer who resents the nephew's status, and refute any talk of nepotism. He gets his first chance when O'Brien's secretary brings in a "crank" letter. Old Mrs. Hogarth writes from the Rhodes House, a local boarding house, praising O'Brien for a recent speech in which he said that "crime prevention is of even greater importance than crime detection." Mrs. Hogarth challenges him to put his belief to the test by preventing her murder. Neither O'Brien nor Strawn are prepared to take her seriously, but after rereading the letter, Dundee asks to be allowed to go under cover as a boarder and investigate the old lady's claims. He settles into his new lodgings that very afternoon and soon discovers that the woman has stirred up plenty of reasons for folks to plot her death. Rumored to have a miser's hoard stashed somewhere in her room, Mrs. Hogarth has fastened on each of her fellow-boarders in turn, making the current favorite her heir in an ever-changing will. As soon as the blue-eyed boy or girl upsets her, she chooses a new favorite and makes them the heir. And Mrs. Hogarth isn't the easiest woman to play favorite for. She expects little presents and constant attention since she isn't well enough to venture far from her room on the second floor. After meeting all the inmates at dinner that first night--from the current heiress, a lovely girl by the name of Norma Paige, and her fiance (and previous favorite) Walter Styles to the pompous businessman Lawrence Sharp and his wife to Cora Baker, pianist for the local picture show as well as another previous favorite, to Bert Mangus, Cora's admirer, to Henry Dowd, a mystery man whose former employer seems to have gone out of busines,s to various other hangers on and possible candidates for heir or heiress of the week--Dundee tries to have a private talk with Mrs. Hogarth to let her know a detective is on the job. However, the other residents keep popping in and out and he has no chance for an in-depth discussion. He decides to go for a walk--and report his initial impressions to Strawn--and plans to visit the older woman when he returns. Somebody decides they've had enough of Mrs. Hogarth--whether it's because of the revolving will and the rumored hoard or another reason yet to be discovered. When Dundee visits her room the second time, he receives no answer to his knock and finds the door unlocked. 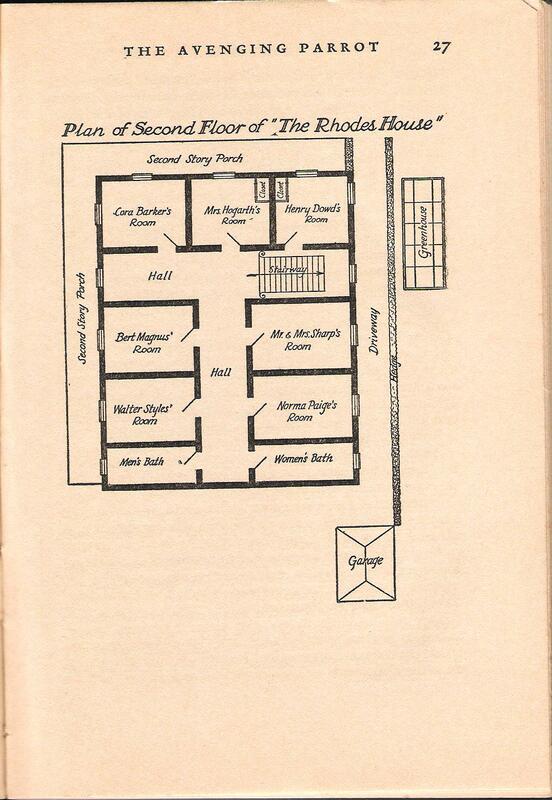 Mrs. Hogarth in her fear of murderers had been scrupulous in locking her door when visitors left. He enters the room and finds Mrs. Hogarth strangled with her own scarf and her room ransacked. Did the murderer find what he or she was looking for? The only eye witness to the cold-blooded crime was her pet parrot. Dundee is convinced that bird's squawking has a clue to the murderer's identity, but O'Brien and Strawn thinks it only wishful thinking. How Dundee used the avenging bird and a handful of clues found amongst trash and other bits and pieces to solve the murder makes for an absorbing read. **John has made an argument for somewhere in Michigan based on references in One Drop of Blood to the Eastern time zone and five hour train ride from Chicago. After a discussion with him, I'm plumping for Iowa based on all the references in The Avenging Parrot to various Iowa towns which seem to be "near by." 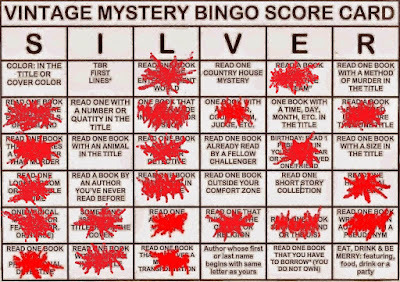 I'm banking on the fact that Austin changed the location at some point in her books (sort of like Dr. Watson's moving wound from Afghanistan and various chronological issues in the Holmes stories) and am going to claim this for Iowa in the Reading Road Trip Challenge.